We are happy to announce that renovations are complete! There are some big improvements at Hawkeye Bar & Grill. While many of the renovations are cosmetic, others enhance the overall dining experience. 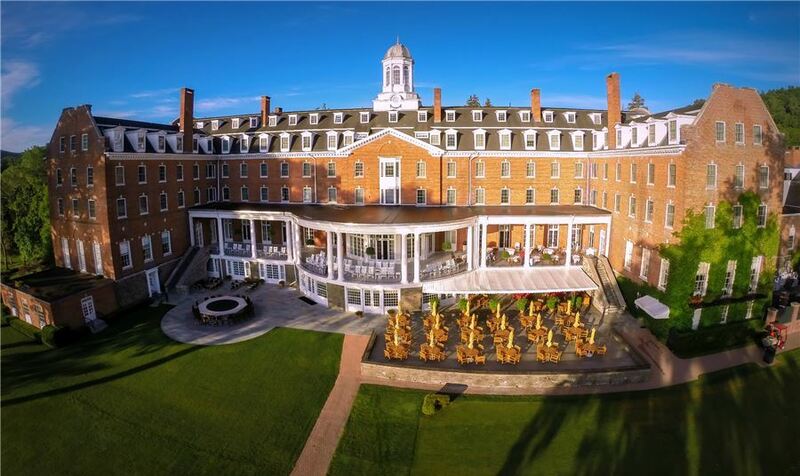 We were diligent to renovate without overlooking the traditional aspects that bring guests to The Otesaga again and again. Here’s the rundown to the new Hawkeye Bar & Grill, complete with a time-lapse of all the work we did. The Hawkeye Bar & Grill and Templeton Lounge have merged into one all-purpose space, featuring new banquette seating with lake views. The original bar was refurbished and moved to the former Templeton space, creating an eye-catching bar entrance with high top tables, new seating and a lovely fireplace. We have added a much-needed private dining or meeting space with a capacity for up to 60 guests. Guests will be able to enjoy tastings or small dinners in a new private wine room, displaying a wine wall that features over 1,000 bottles. Refreshed decor reflects the classic look of The Otesaga, with dark woods and traditional colors, but with updated upholstery, furniture, and fixtures. Chef Perillo and his team have hit a homerun with a refreshed menu. While keeping many of the most popular menu items, there are some new sure-fire favorites, with an even bigger focus on serving locally-sourced food. A few to look out for - Crispy Fried Chicken, Baja Fish Tacos and Smoked Chicken Wings.There are also expanded burger options like a Truffled Mushroom and a Mediterranean version of the popular Butcher’s Burger. You read that right. We are pouring cold ones straight from the tap. Enjoy a fine selection of beers, many locally made right here in New York. Come on in and enjoy our new indoor space, or find a seat on our sunny patio. Now, no matter where you sit, you’ll be surrounded by picturesque views of Lake Otsego. We are always welcoming friends, both new and old to relish time together and a good meal. We hope you’ll join us at the new Hawkeye Bar and Grill soon.